After eight long years of house price falls, Cyprus' housing market is now gaining momentum, amidst robust economic growth. During the year to Q1 2018, the nationwide residential property price index rose 1.82% (2.32% inflation-adjusted), its fifth consecutive quarter of y-o-y rises, according to the Central Bank of Cyprus, and the biggest annual increase since Q4 2008. On a quarterly basis, residential property prices rose by 0.57% (0.33% inflation-adjusted) in Q1 2018. By property type, apartment prices increased 3.97% during the year to end-Q1 2018 (4.48% inflation-adjusted). On the other hand, nationwide house prices rose by 1.03% (1.53% inflation-adjusted) over the same period. Demand is now rising sharply. During the first three quarters of 2018, property sales in Cyprus rose by 21% to 6,706 units from a year earlier, based on figures from the Department of Lands &amp; Surveys. Likewise, the number of dwelling permits soared 23.5% y-o-y to 2,333 units during the first five months of 2018, according to the Statistical Service of Cyprus. This across-the-board housing market improvement is partly driven by Cyprus' strengthening economy. In 2017, the economy expanded by 4.2% – the highest growth in a decade, according to the Statistical Service of Cyprus. The economy is projected to expand by 4% this year, and by another 4.2% in 2019, based on forecasts released by the International Monetary Fund (IMF). The Cyprus real estate market has historically been divided into the major urban centres of Nicosia, Limassol and Larnaca (primarily driven by local demand); and the seaside resort areas of Paphos and Famagusta, which are mostly driven by foreign demand. The economic decline of recent years affected both areas. The housing market is expected to continue to improve in the coming months, amidst strong economic growth and improvements in the banking system. Foreigners can buy one home in Cyprus, and are entitled to hold land freehold, but there is a maximum limit on land ownership of 3 donums (4,014 sq m). Property prices. 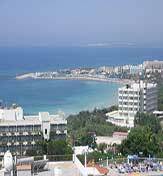 Property is not expensive in Cyprus, with prices around €1,300-1,800 per square metre (sq. m.). Smaller properties cost rather more per sq. m. than larger properties. Property rents. Apartments of 120 sq. m. cost around €700-€800 per month to rent in Larnaca and Nicosia, and probably more in Limassol, though this year we were not able to find enough properties to bring you reliable figures. If you are buying specifically with a view to renting out your property, very small apartments in Nicosia appear to give you higher yields. It is not obvious why the difference in yields between 50 sq. m. apartments in Nicosia and 120 sq. m. apartments should be so large, whether this is some kind of research error or what. For the moment, we report what we have found. Property returns. Cyprus has not traditionally been a great location to be a landlord, because of moderate rental returns. But while gross rental yields in Cyprus have remained steady over the years, they have fallen almost everywhere else as a result of the asset-inflationary effects of low interest rates. Result: Cyprus now looks comparatively attractive as a place where buying prices are low, so that capital gains on property are conceivable. However, it is always extremely hard to forecast which locations international buyers will seize upon as attractive. Property buying costs. Round trip transaction costs on the purchase of old residential property in Cyprus are moderate, but VAT on new properties is high. See our Cyprus residential property Buying-Guide and Cyprus property transaction costs compared to the rest of Europe. Rental Income: Rental income exceeding €19,500 is taxed at progressive rates. Standard deductions for income-generating expenses are deductible from the gross income. Capital Gains: Capital gains realized from the sale of immovable property are taxed at 20%, with a lifetime exemption of 85,430 if the property was owner-occupied for at least 5 years. Inheritance: There are no inheritance taxes or estate duties in Cyprus. Residents: Residents are taxed on their worldwide income at progressive rates, from 0% to 35%. Total roundtrip transaction costs range from 7.60% to 16% of the purchase price. The buyer pays around of 4.60% to 11%, whereas the seller pays 3% to 5% for the agent’s commission. The transfer tax rate ranges from 3% to 8%, depending on the purchase price of the property. If the property is in joint names, the property value is halved, leading to lower transfer fees. Rent Control: The rental market can be divided into two broad categories: Houses controlled by the Rent Control Law (1983), and the free market. Foreigners are not covered by the provisions of the Rent Control Law, except the non-Citizen wife of a citizen of the Republic, and legal entities controlled by non-residents. Tenant Eviction: Eviction of tenants is relatively difficult, especially in the case of ‘statutory tenants’ protected by the Rent Control Law. It takes an average of 360 days to evict a tenant. The economy grew strongly by 4.2% in 2017, the highest growth since 2007, thanks to strong domestic demand, according to the Statistical Service of Cyprus. Then in the second quarter of 2018, the economy expanded by 0.8% from the previous quarter and by 3.9% from a year earlier. The economy is projected to expand by 4% this year, and by another 4.2% in 2019, according to the IMF. Cyprus' economy contracted about 1.8% in 2009, mainly due to the adverse impact of the global crisis. After registering anaemic growth rates of 1.3% in 2010 and 0.3% in 2011, the economy shrank again by 3.1% in 2012. The economy remained depressed in the following years, with a huge 5.9% contraction in 2013, and a 1.4% contraction in 2014, based on IMF figures. The economy recovered in 2015 with GDP growth of 2%. Cyprus recorded a public budget surplus of 1.8% of GDP in 2017, a sharp improvement from a surplus of 0.3% of GDP in 2016 and deficits of 1.3% of GDP in 2015 and 9% of GDP in 2014, according to the Statistical Service of Cyprus. Gross public debt declined to 97.5% of GDP in 2017, down from 106.6% in the previous year. However, gross debt is expected to rise again to 112.3% of GDP this year before falling to 105.1% of GDP in 2019, according to the IMF. Inflation accelerated to 3.1% in September 2018, up from 2.5% in the previous month and the highest level in more than six years, according to the Statistical Service of Cyprus. Unemployment fell to 7.5% in August 2018, down from 7.6% in the previous month and 10.5% a year earlier, according to the Eurostat. It was considered as the largest annual decline in unemployment in the EU during the period. From an average of just 4.8% from 2000 to 2011, unemployment surged to an average of 13.8% from 2012 to 2017, according to the IMF.